In this tutorial, I will let you know how to install the latest version of SMPlayer 18.2.2 in Ubuntu 16.04, LinuxMint 17, Debian 9 and Fedora. 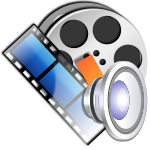 SMPlayer is another popular open source video player that provides a lot of features. It is based on the MPlayer command-line application and it’s fully compatible with the GNU/Linux and Microsoft Windows operating systems. Speed playback option available in 2x,4x, etc..
SMPlayer is translated into more than 30 languages, including Spanish, German, French, Italian, Russian, Chinese, Japanese. New option in Preferences -> Subtitles to select the opacity of the background of the subtitles (available when the 'border-style' is set to 'opaque box'). (mpv) Now the direct3d is the default video output for Windows since some users reported problems with the GPU output. Note Smtube package required for playing the youtube videos in SMplayer. or you can use the link to download the rpm fileand install it.